This area of the site contains relevant forms from CNRA, USSF, FIFA and other soccer referee related sources. Forms and publications are transferred into .pdf formats or direct links to the resource. These are uploaded here for your use. If you desire to have something listed, please send your request to the webmaster. The following are various Forms and Publications from CNRA specifically for Cal-North Assignors. These publications are available in downloadable electronic formats. The following are recommended study materials for all referees. These publications provide rules, interpretations, procedures and applications as defined by the U.S. Soccer Federation and are available with other content, not listed here, through www.ussoccer.com in electronic format. Links to 89 USSF Position Papers spanning each of the 17 Laws of the Game. 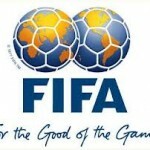 Use this link FIFA REFEREE WEBSITE to navigate to FIFA.com’s dedicated section on the Laws of the Game. Here you can read the latest updated version of the Laws which were last modified at the 126th Annual General Meeting of the International Football Association Board (IFAB) in England (Surrey) on 3 March 2012. These came into force on 1 June 2012. Navigate through the various Laws and the Interpretations.